Are you looking for beautiful home accessories for your home in La Quinta? You’ve come to the right place. At Encore Consign + Design, our vast showroom is filled with designer-inspired home accessories to make redecorating your home a breeze. 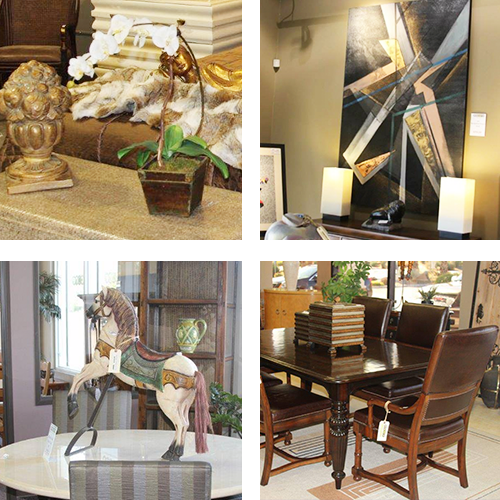 Visit our showroom to find that perfect finishing touch for your living room, dining room, and bedroom. If you have home accessories you would like to see in our showroom, simply click on the button below. Our team of design specialists can help you with the sale of your home accessories and furnishings to help you avoid the risks of direct selling. When you consign with Encore, you have the opportunity to leverage our extensive marketing platform to ensure you find the right buyer for your item. To learn more or get started, click on the button below. At Encore Consign + Design, we are proud to help homeowners from all over the Coachella Valley create the home of their dreams. We have over 23,000 square feet of home accessories, making it easier than ever to put that finishing touch on your space. No matter if you know exactly what you’re looking for or need assistance, our design staff is happy to help. We have an abundance of lamps, wall art, rugs, candle holders, and more just waiting to call your space home. To start creating the space you’ve always wanted, we invite and encourage you to visit us today.